 Industrial Clutch Parts Ltd. supply a complete range of WPT Mechanical Power Take-offs. Our large stock of PTOs provides customers with prompt delivery and reduced lead times. WPT GM Style Mechanical Power Take-Off Clutch is primarily designed to mount directly to GM engines without any specific adaptations of the engine or PTO. The GM style PTO design has significantly eliminated the pilot bearings to reduce failures and downtime. Main bearings are sealed and require no adjustments for the life of the bearing. Clutch adjustments are quick and easy with external ball stud and jam nut adjustment points. The GM-style bell housing mounts directly to 4.1, 5.7, 6.2, 7.4 & 8.1-litre engines. It operates in the most adverse of conditions, the solid ductile iron bell housing is built for heavy-duty applications, keeping out weather and other contaminants. Ideal for inline or sideload applications.